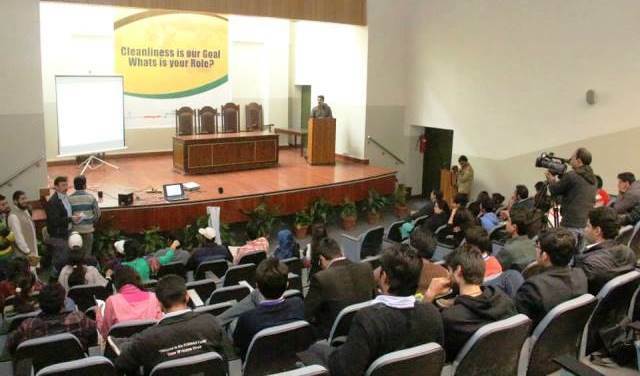 On 6 December 2014, the Earth Watch Club and The Leadership Forum in collaboration with Lahore Waste Management Company (LWMC) organized an awareness seminar at Forman Christian College titled ‘Cleanliness is our Goal, What is your Role’. 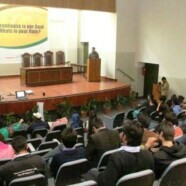 The objective of the seminar was to make students aware of trash-related issues in Lahore and specifically FCC. LWMC officials briefed attendees about their cleanliness arrangements for the city and their effectively waste collection and disposal methods. Representatives of LWMC gave a detailed presentation to the participants on the measures LWMC takes to ensure the city is free of waste. Dr Dawood Qazi emphasized the active role of the community and especially students in maintaining a clean and healthy environment. Ms Silvia Machado, from the Environmental Sciences program shed light on the actions being taken in FCC to manage trash, and made students aware of their responsibilities in keeping the FCC campus clean.